Water, sand, dirt or dust; the small OverBoard Waterproof Phone Case protects small phones from all of it while giving you full use of your phone. Thanks to a transparent front and LENZFLEX back for ultra clear photos, you can browse, chat or snap away while our 100% waterproof Slide Seal System™ ensures your phone is fully protected inside the waterproof mobile phone case. 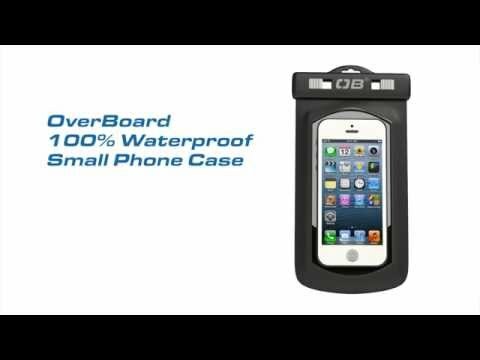 Compatible with all small phones (including iPhones, Blackberry phones and HTC desires), the small OverBoard Waterproof Phone Case is also guaranteed submersible to 19ft / 6m so you can drop it in the water without paying for it. Got a Galaxy Note or Larger Phone? Click here Waterproof Large Phone Case. Looking forward to testing it soon! Nice and compact. I use this case for biking, running & general outdoors, works so well and the service is excellent. Recommended to everyone who needs to venture beyond their front door. Great quality product. Easy to use. Phone, totally protected, not too bulky, just right, I'd implore anyone who uses or needs protection for their phone around water or sand to purchase a case, you will not be disappointed! I haven't used the phone case yet as I purchased it for a forthcoming holiday. Fits my iPhone perfectly. Good quality and very handy for a variety of situations i.e. On boats/at the beach. Simply the best waterproof gear on the planet. Great product, really easy to use unlike some other waterproof cases I've used before which I've broken the clips trying to open and close them as they are so tight. This is so easy to use and works perfectly. I've used it when working for a rugby club and its been raining heavily and we've needed to call for an ambulance safe in the knowledge my phone was safe in the case, it was easy to make the call and I didn't have to worry about my phone getting wet so I could leave it out in the rain with no problems. In a similar situation last year my phone got badly water damaged and cost me over £*** to get repaired so this case is worth every penny to prevent that happening again. Good fit for a Galaxy S5. 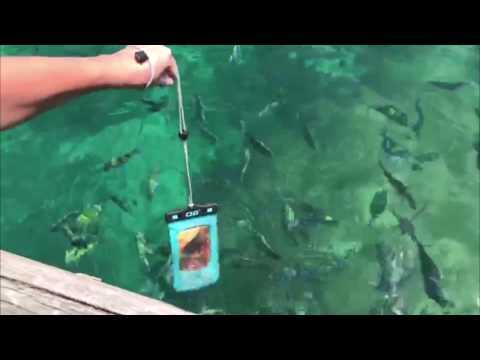 Kept it dry in the ocean, was able to use it to take pictures under the water although behaviour of touchscreen is not guaranteed owing to temperature changes. Very good just to be able to carry it securely around the beach. Lanyard could be longer (I am tall). It is for my daughter to use with her phone while sailing offshore in August. Great piece of kit. Having just lost my phone to water damage, regret not getting one sooner. Have already tested it and it's as described. Perfect. 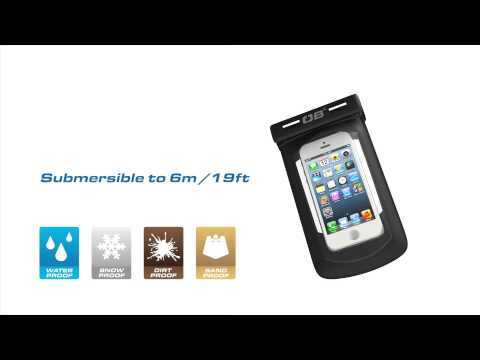 I fell the product would proove invaluable for many users wanting to keep their mobile phones safe from damage from rain or accidental water submersion. They can also provide info on the waterproofing abilities including the IP6 rating and the depths that the bag will hold your phone safe. It's just about as good as a waterproof phone case can be: the phone fits snugly, and the screen is accessible and functional (it helps to squeeze out excess air first!). The closure is quite chunky, but that's what it takes to make it submersible. I'm delighted with my purchase! Very good value for money. Protect your precious electronics from water. Any one who likes boating, swimming or lazing in a pool. Gread product ideal for a beach holiday or one around a poool. But as it is used several times a day on a daily basis , we would prefer it if they were off stronger fabric as it splits after a while with continued use. Our i-pods are used for recording progress in swimming lessons which are held at least 3 times per day. If they lasted longer we could promote them to excellent with 5 stars. I use this is my buoyancy aid when canoeing or in my rucksack when walking, biking etc. Very good quality product. The quality of the product ordered looks top rate. I will have to actually use the waterproof phone case before making further comments.